Two years earlier, Lord Nathaniel 'Nate' Swift, fell hopelessly in love with his best friend, the Duke of Ascot's, younger sister, Charlotte. His rakish ways, his friend's objection and their age difference made him certain that a courtship and a marriage could never take place. So Nate did the only thing he could, he left England for America and tried to forget Charlotte. After two years of experiencing the New World, Nate's world halts when he learns of Charlotte's impending marriage. He was foolish to think that he could ever forget his Charlotte. She was what he desired, what he ultimately coveted. He had to win her back. Lady Imogen Wilde has lived her life in a body that does not work as it should. As she was born not breathing, Imogen has spent her life as the small and weak daughter of the Duke of Ascot. Nobody could ever understand, could they? Colonel Simon Spencer is a highly decorated, recently retired, soldier, who has made his fortune through various gallant and successful military campaigns. But the military has altered him, both mentally and physically, leaving him a changed man from the one his brother remembers, one who carries many burdens. But what if they met? Could it be, that after years of indifference, Imogen and Simon might finally find someone who understands? Or could there be other obstacles in their way, secrets that threaten to boil over? Ebony Seaver is the most talked about person in London. Not only is she stunning but she is starring as Elvira in the beautiful new opera I Puritani. Her soprano voice is angelic and she has captured the heart of every man in town – including Henry Alcott. As a dalliance begins between Ebony and Henry, he discovers that the beautiful, young opera singer has a few secrets. And some secrets are deadly. To the unknowing eye, the exotic young woman making her way through the English countryside is just another poor girl, hungry and looking for work. But Elena Del Fuego is much more than that. She is the youngest daughter of the King of Spain and she is running from an arranged marriage he forced upon her. Elena learned of the betrothal when she was ten years old, and found out that it was to happen on her eighteenth birthday to a Portuguese Prince twenty years her senior. She had eight years to plan her perfect escape. Her escape takes her to Derbyshire where she finds work as a housemaid at a grand estate called Ascot. 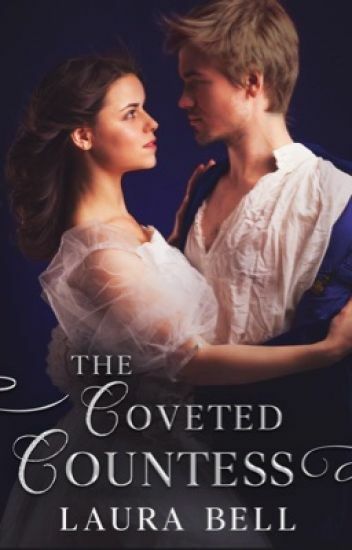 While Elena had always planned to keep her head down, she cannot help but notice the handsome heir to the dukedom, David Wilde. But life is not like a fairy tale. The handsome heir cannot marry the maid and turn her into a princess, for Elena is already that. She is a princess with two nations chasing her, two nations determined to keep Elena and David apart and to take Elena home. Being clever in a time where women were taught to sit on their hands has always plagued Jane ‘Little J’ Alcott. She has always been laughed at and has learned to accept that she will never reach her full potential … until now. When her brother thinks up a brilliant plan, Little J begins to stretch her legs in the world of academia, a world only privy to men. And one man in particular, has caught her eye. James Alcott has always had a talent for charming women right into his bed, a talent that he has enjoyed, along with his status of being heir to the Earldom of Ethridge. A chance encounter, however, with a woman who does not see worth in wealth of status will change his life forever. Alice Devereaux has been hiding for three years. She fought and survived the 1832 French Revolution and is hiding in England under a pseudonym. Her family and friends all died as criminals and if she ever returned to her native Paris then she would be slaughtered too. Her family's hatred of aristocracy has been instilled in her and she carries around the burden of both her and her people's failure to create equality. And then, as if God is testing her, she meets a man who holds all the qualities she was born to hate - wealth, status and arrogance. But that man is determined to succeed in winning her. So what is she to do? Succumb to his charms? Or hold true to the beliefs of her French comrades? Maggie Swift had always known something was missing from her life. She had everything an eighteen year old aristocrat could want – a title, wealth, a good family, and an incredible friend in Max Montgomery. What could possibly be missing? Many do not see past the audacious and joyous personality of Maggie Swift, the outspoken American child that Nate Swift, Earl of Montrose, adopted eleven years earlier. Many do not see the fact that she has always felt like an outsider, and that she truly believes that something is missing in her life. But a knock on the door of Montrose Manor will change Maggie’s life. It will take her across an ocean to a life she never knew. But what Maggie has to decide is this: Who is she? Where does she belong? Who does she belong with? And most importantly, where is home? Rose Wilde has always considered herself plain, and has practically given up on the idea of being romanced. But when American hotelier, Derek Montgomery, comes to revolutionise her sleepy, little English village of Ascot, Rose starts to revisit the idea of romance and falling in love. However, Derek brings with him many secrets and obligations, some that might prohibit him from pursuing Rose and push her into the arms of her friend, Michael Cornell, the Marquess of Juniper. Will fate provide for Rose and Derek, or will she indeed become The Reluctant Marchioness? Sabine Winchester has always had a too sensible head on her shoulders. Her unsuccessful seasons in London result in her being called things like 'boring' and 'dull'. Her limited interests stem to her beloved horse, Puissant. But in arriving home, she encounters the new Scottish stable hand, Connor McKenzie, who is everything she's not - relaxed, spontaneous, outgoing and humorous. Batting heads with the new stable boy causes a lot of friction for Sabine, but the man who is so different to her, might just save her from herself.